Inside the homes of Bay County sit future poets, journalists, authors of children's literature, and potential employees crafting resumes. Inside the Alice & Jack Wirt Public Library in Bay City is the Bay Community Writing Center, a place where writers of any age working on any kind of writing can go and receive instruction. Located at 500 Center Avenue, the Center operates in partnership with Saginaw Valley State University and received a grant from the Bay Area Community Foundation to offer tutoring services free of charge. 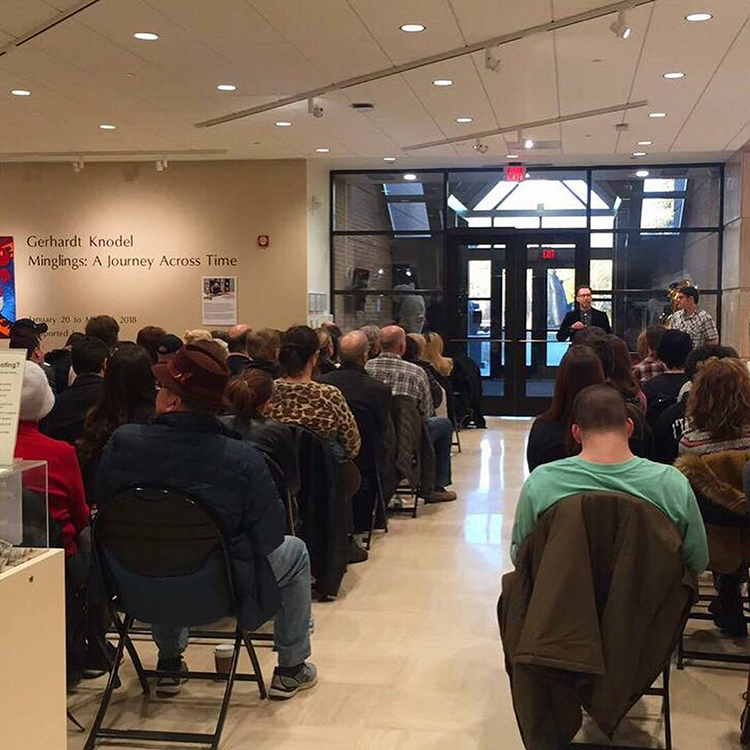 On the 1st and 3rd Tuesday of every month from 4 to 8 p.m, writers of all ages gather inside the Wirt Library for free workshops and one-on-one tutoring. Writers can bring something they're working on or start creating from scratch at the center. 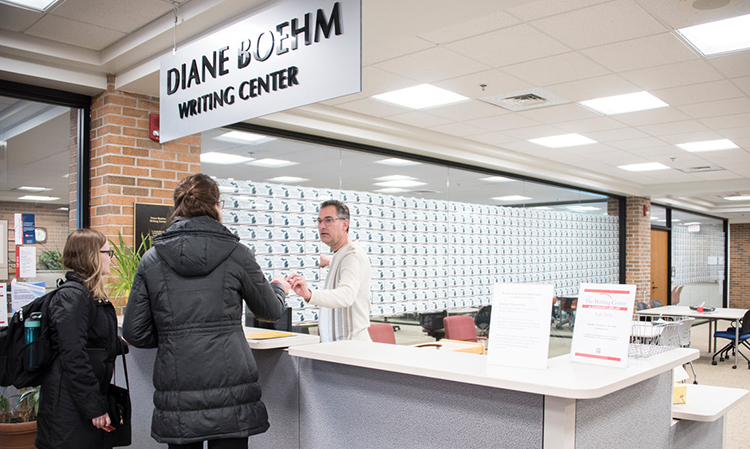 On a typical night, the tutors see everyone from nervous high school freshmen tackling their first major essays to displaced workers freshening up their resumes, said Emma Kirsch, an SVSU student and coordinator of the Center. No matter who shows up, Kirsch, who has been part of the center since the very beginning, said the best part of her job is working one-on-one with people passionate about their projects. One of Kirsch’s most memorable visitors was a woman writing a story for her grandchildren. “That was such a sweet thing to be involved in,” said Kirsch. That grandmother was one of about 200 people who have come to the Bay Community Writing Center since it opened about 18 months ago. SVSU also operates a Saginaw Community Writing Center at the Butman-Fish Library, located at 1716 Hancock St. in Saginaw. The two centers are the only university-backed community writer centers in the state, Raica-Klotz said. The tutors are all SVSU students who have completed about 40 hours of training. Most of the tutors are not English majors. Kirsch, for example, hopes to work in early childhood education after graduation. All the tutors are interested in writing and in helping people. Through the community programs, the tutors and Raica-Klotz get a different perspective on the written word. On campus, students come to the university-sponsored writing center hoping to raise their grades. In the community, though, writing is often deeply personal. For example, a simple, one-page resume represents thousands of hours over a lifetime of work. The centers each operate on similar schedules. Individual tutoring is available from 4 to 8 p.m. the first and third Tuesday of each month at Wirt. (In Saginaw, the hours are 4 to 8 p.m. the second and fourth Tuesday of each month.) Periodically, special sessions are held on specific topics, such as scholarship essays or short stories. On the third Tuesday of the month, the Bay Community Writing Center offers a Creative Writing Workshop from 6 to 7:30 p.m.
One constant throughout every type of session is that good writing is an essential communication skill, Raica-Klotz said. She is trying to spread that message through the community. She hopes to expand the Writing Center’s reach through collaborations with local schools or arts organizations. The Center publishes Still Life, a community literary arts journal filled with short stories and poems by Bay and Saginaw county authors. The journal also features artwork from SVSU students. On Thursday, February 7, the latest issue will be released during a special event from 7 to 10 p.m. at Counter Culture, 620 Gratiot Ave. in Saginaw. A Poetry Slam will be held during the evening. For more information about the Bay Community Writing Center information and its schedule, click here.